Kanye and Rihanna will release something, Bon Iver and Lorde back … maybe? Where is … News trickled out about Boys Don't Cry, the magazine/album he's been planning for awhile. He even … She writes all her own lyrics and most of her own music. Frame size approximately 17.00 by 21.00 inches for print size 16.00 by 20.00. Let Hawaiis hottest group take you away for a one night island vacation. The beautiful and safe Swig Field is surrounded by Marin hills and begs for picnicking, but will offer the choice of purchasing delicious as well as affordable meals on-site from San Rafaels own Mauna Loa Hawaiian BBQ pop-up Restaurant. No alcohol is allowed to be brought in, but is available for purchase. The theme is Hawaiian Islands, and audience members are encouraged to wear their favorite Hawaiian shirts, or purchase one from Georgi & Willow’s pop-up shop offering island wear for purchase. Unsigned Only Music Competition is pleased to announce its 2014 winners selected from over 8,000 entries worldwide. The overall Grand Prize goes to the up-and-coming Nashville band Goodbye June with the song Daisy. Judged by a roster of high-profile journalists and artists such as Of Monsters And Men, Rosanne Cash, Mike Posner, John Oates, Dustin Lynch, Anthony DeCurtis (Contributing Editor, Rolling Stone), and many more, Unsigned Only is a unique music competition for solo artists and bands who are unsigned to a major label. Winning $ 10,000 cash and additional merchandise, the Grand Prize winner also receives the unprecedented opportunity to be mentored by the top echelon of record company professionals, including Presidents and top-level executives from Universal Republic, Sire, Elektra, Atlantic, Warner Bros., Capitol, Sub Pop, Big Machine, Roc Nation, Virgin, Word, American Recordings, and Minty Fresh. well-known idols. Goodbye June, hello world! Southern rock with a contemporary twist, Goodbye Junes music showcases their individual and collective talents, as well as their grit and soul. The three cousins who comprise Goodbye June believe that the key to their success is their openness and honesty with each other, and this has contributed to how their sound was created. Formed after the death of the guitarists brother, playing music became an emotional release and a big part of the healing process for them. 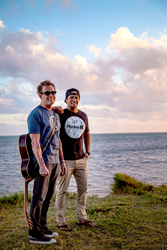 Their debut album “Nor The Wild Music Flow” was released in 2012, alongside their debut music video “Microscope” featuring St. Louis Rams head coach Jeff Fisher and country star Steve Holy. The band embarked on a debut European tour in the Fall of 2013 where they toured through Germany, Sweden, Finland, Holland, Belgium, France, and Spain during a 6-week stint across the Atlantic. The guys are currently finishing up their yet-to-be-titled sophomore album with Grammy-nominated producer Paul Moak. In addition to the Grand Prize winner, many other deserving artists are winners in their respective categories. With a total of 11 categories and First and Second Place in each (along with a list of Honorable Mentions), Unsigned Only covers all genres of commercial contemporary music, including: Adult Album Alternative (AAA); Adult Contemporary (AC); Americana; Christian; Country; Folk/Singer-Songwriter; R&B/Hip-Hop; Rock; Pop/Top 40; Teen; and Vocal Performance. In addition to all the category winners, Unsigned Only launched a new opportunity for entrants called Screen Shot. Geared toward the placement of music in film, TV, advertising, and video games, Screen Shots goal is to connect independent artists with industry contacts who are looking for music for upcoming projects. The 2014 winner is the Los Angeles, CA band The Bicycle Mob for their song Bursting Into Life. In addition to cash and prizes courtesy of Radio Airplay, the winner also gets to directly network with a group of music placement executives, including: Alec Sharpe (Shine America); Ani Johnson (Monomyth Media); Chip Miller (Desert C.A.M. Studios, Inc., Winmill Films LLC); Cindy Badell-Slaughter (Heavy Hitters Music Group); David Weiss (The SongHunters); Evan Stein (Experience Music Group); Jamie Sparks (Kicksta Music Group); Jennifer Taunton (Level Two Music); Jessica Cole (Lyric House); Karyn Rachtman (Mind Your Music); Linnette Harrigan (Linnette Harrigan Media); Michelle Bayer (Shelly Bay Music); Michelle Silverman (Modern Planet); Pat Weaver (Discovery Network); Rebecca Rienks (E! Entertainment/NBC Universal); Richard Kirstein (Resilient Music); James Michael Kempter II (JMKconnections); and Velma Barkwell (East End Music). Sponsors include: Guitar Center, Casio, Sony Creative Software, Ultimate Ears, Disc Makers, D’Addario, The Intellitouch Tuner, Topspin Media, Mrs. Fields Cookies, The Music Business Registry, and Celebrity Access. Unsigned Only is now accepting entries for the 2015 competition. Information on submissions can be found at http://www.unsignedonly.com. Coast 2 Coast Mixtapes announces the release of the Left Back music video by Malachite. The project, presented by Coast 2 Coast Video Distribution, is now available for view on YouTube. The single is produced by Sunset6 Productions, beat by Iceburg, and features Jasmine Gullison. Malachite, born Henry Busili, is an emcee, poet, musician, producer from Toronto, Canada. Born into a musical family, Malachite started playing instruments as a teenager seeking to follow in the footsteps of his father who was also a musician. Often opposed to the pop music of the day which his sister so enthusiastically shoved down his throat, it was not until later in life that Malachite started to appreciate popular music. Intrigued by Regulate by Warren G featuring Nate Dogg, Malachite soon found himself captivated by Hip Hop learning more and more about the Old School and the new hit makers. Particularly taken by Eminem, Malachites natural talent for poetry, rhyme, and writing resonated with Eminems wordplay, style, and delivery. 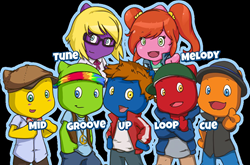 Expanding on his new found passion for Hip Hop, Malachite opened up his love for music to all genres diversifying his influences to include Dido, Coldplay, Norah Jones, Blink 182 and more. Determined to fully utilize his talents and strive for the highest level of success within the music industry, Malachite continues to release recordings and rock performances. Combining his love for football and Hip Hop, Malachites latest project is a mixtape entitled “The Starting XI”. Correlating the title, lyrics, and message behind each song with a position on the football field, this concept album is the culmination of 7 years experience from the young emcee. Left Back is one of the lead singles off the “The Starting XI” mixtape. This song features a basic beat with some electronic synth production allowing for Malachites vocals and message be heard clear as day. The Left Back music video provides great visuals to accompany Malachites journey of quitting his job and leaving his girlfriend to pursue a brighter more prosperous future. The music video is very well shot and highlights the Toronto skyline. Watch Left Back and keep up with Malachite on his official website at http://www.formalachite.com/. Charismatic singer/songwriter RaeLynn has partnered with the National Association for Music Education(NAfME) and Give a Note Foundation to celebrate the 30th Anniversary of Music In Our Schools Month next March. The Valory Music Co. talent penned Always Sing with songwriters Nicolle Galyon and Jimmy Robbins for music students nationwide. The Boston Brass joined RaeLynn last month (10/26) to debut the new song, which will be included in the Concert for Music In Our Schools Month repertoire using an arrangement from Jupiter Band Instruments Rick DeJonge. In conjunction with NAfMEs signature program, Music In Our Schools Month, Give a Note Foundation will engage schools across the country to submit a video of their school ensemble performing Always Sing for yet-to-be-announced surprises along the tour. For a second consecutive year, Big Machine Label Group (parent company of The Valory Music Co. imprint) and Give a Note Foundation will partner for the Music In Our Schools Tour beginning March 1, 2015. The tour will feature stops at up to five schools where RaeLynn will perform, in addition to a $ 1000 grant from Give a Note. The deadline for submitted videos to be considered for the tour is January 31, 2015. Sheet music, rehearsal tracks and other information is available here. 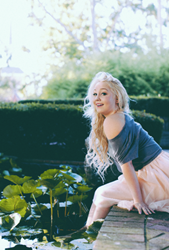 RAELYNN has seen her empowering lead track God Made Girls” rise into the Top 20 at Country radio while the music video has garnered over 4 million views. With the highest charting debut single by a solo female artist in 2014, RaeLynn was chosen as the first female iHeart Media On the Verge Artist, which showcases artists that have the potential to break out of the pack with a great song. Selected as one of CMTs Next Women of Country, it is no wonder that Taste of Country insists, fans of every age will find a trio of lyrics to get behind and Popcrush calls her cheerful, charming, ultra-talented and downright hilarious. The Voice (season 2) alum is featured on Buzzin from coach Blake Sheltons new album and will embark on fellow Texan Miranda Lamberts CERTIFIED PLATINUM Tour in 2015. Currently, RaeLynn is in the studio recording more of the diverse catalogue she penned for her first album on The Valory Music Co. Follow her adventures on Twitter and raelynnofficial.net/. Give a Note Foundation was created by the leaders of the National Association for Music Education (NAfME) in 2011 to engage community partners in supporting music education, especially in underserved communities. The foundation has distributed more than $ 1 million to support and strengthen music education programs across the U.S. THE VALORY MUSIC CO.: The Valory Music Co., an imprint under Big Machine Label Group, is home chart-toppers Brantley Gilbert, Justin Moore and Thomas Rhett; legendary act The Mavericks as well as rising stars RaeLynn and Levi Hummon. The label celebrated its first #1 album and #1 single within a year of launching in 2007, since scoring #1 hits such as It Goes Like This (Thomas Rhett), Bottoms Up (Brantley Gilbert) and Lettin The Night Roll (Justin Moore). Songwriting credits from the talented troupe include Thomas Rhett’s Round Here (Florida Georgia Line) and Parking Lot Party (Lee Brice), while Brantley Gilbert has penned smashes like Country Must Be Country Wide, Dirt Road Anthem (Jason Aldean) and My Kinda Party (Jason Aldean). VMC artists have take home multiple American Music Awards, Academy of Country Music Awards, Country Music Association Awards, American Country Awards and CMT Music Awards and nominations, in addition to being featured as part of CMTs Next Women of Country. Sarantos gets back to work after the New Year with the latest new age meditation music release in 2015 and a second studio album. Sarantos is keeping his promise as he kicks off 2015 with his sophomore album. This album will reflect the style the fans and fellow musicians felt best suited Sarantos as he veers into a classic mixture of 80s rock merged with today’s soft rock and pop music. But before fans fantasize about the other songs that fit his unusual style, Sarantos thought he’d make the first song and album title a new age song. With his background as a youngster in the church choir, this Enya-type of song is a soothing and relaxing venture. Close your eyes and feel Sarantos powerful vocal reverb literally vibrate one’s entire body as fans become vested into the pure emotion of this new song. 33% of any music-related sales profits from this song are going straight to the Foundation For End of Life Care. Sarantos was nominated in 2014 for 2 awards for the 2014 International Music &amp; Entertainments Awards for the categories of Rock Song of the Year and Pop Album of the Year. With recorded hits and new tunes waiting to be released every single month until the day he dies, Sarantos music screams success and stimulates an overdue conversation in the changing music industry. Sarantos loyal music fans continue to show their support by proudly showing off Sarantos merchandise and staying tuned into Sarantos daily down-to-earth and very real social media revelations. His songs are being broadcast every day on various radios stations around the world. Sarantos continues to do interviews around the world every single week and fans can listen in to some of them on his YouTube page. Lets not forget his funny, sarcastic, witty and genuine music videos that leave his fans not knowing what to expect next. Sarantos has been writing lyrics since 4th grade and is passionate about the words he puts to the music. Music was always in his blood. Music was always a passion and much more than a hobby. Sarantos has written over 2,000 songs. Having undergone several personal challenges with Sarantos’ father passing away four years ago after a long hard-fought battle with lung cancer, dealing with personal health issues like asthma and allergies which affected his singing style, going thru life’s ups and downs, the timing was finally right. And so it began. Sarantos main motivation remains, however, to raise money for charity. 33% of any music related sales are going straight to charity. *Because Sarantos wants his music shared throughout the world, fans can always find all of his songs, lyric sheets, videos and books on his website for free at https://www.melogia.com/music.html. He openly gives everyone the right to share his song mp3s for free with anyone they want via email or any of the social media platforms.